The Retriever 35 outdoor pet waste bin is hygienically designed with a removable body and a metal chute system. Ideal for external parks and recreational areas. 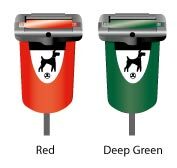 The Retriever 35 Dog Waste Bin, available in deep green or red as standard, is an easily identifiable dog waste container designed to encourage users to clean up after their pets. 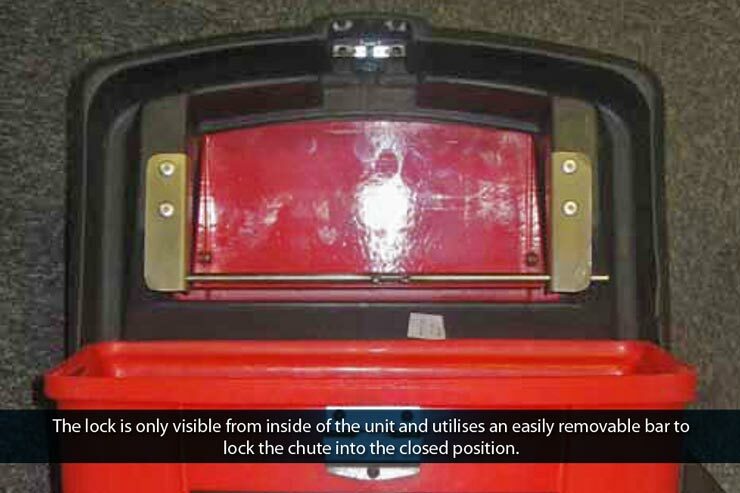 Complete with a metal chute system and a removable body, the Retriever 35 is a hygienic solution to dog waste and will help to trap in any unwanted odours. The triangular DIN lock ensures added resistance to vandalism and unauthorised access. The robust and durable construction of this dog waste bin provides weather-resistance, ensuring a long service life with minimal maintenance required. 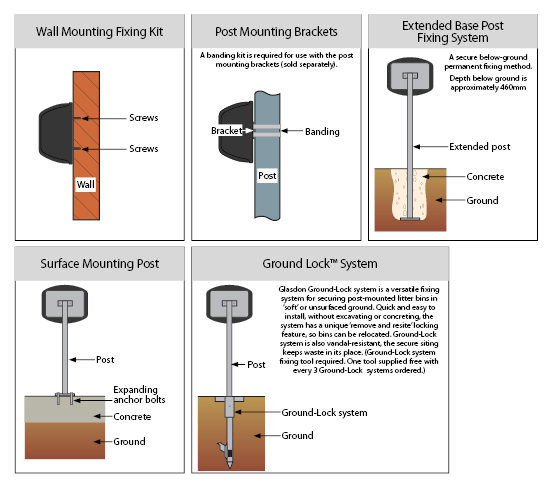 The Retriever 35 is supplied with a ‘Dog Waste Only’ logo as standard and has a choice of fixings for post or wall mounting. The contemporary design of this dog waste bin makes it suitable for a variety of outdoor locations including recreational areas and parks. What is this? Sack Dispenser.